Pyongyang : Kim Jong Un, Chairman of the Workers' Party of Korea, Chairman of the State Affairs Commission of the DPRK and Supreme Commander of the Korean People's Army, met and had a photo session with the teachers who volunteered to work at branch schools on islands and schools in the frontline and mountainous areas. 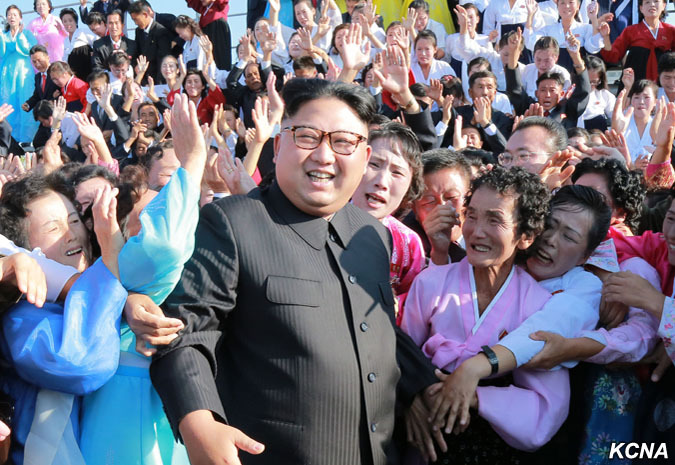 When Supreme Leader Kim Jong Un appeared at the venue of the photo session, the teachers enthusiastically welcomed him. He spoke highly of pure patriotism displayed by the teachers with conscience and devotion as revolutionaries responsible for the future of the country, with transparent faith and pure loyalty with which they unsparingly devote themselves to settling the issues worried by the WPK and carrying out the work which is wished by it, even though they may not be seen or appreciated, he said, calling on the whole society to put them forward and learn from their outlook on the revolutionary life and the future. He had a photo session with them. Present at the photo session were Choe Thae Bok, vice-chairman of the WPK Central Committee, and leading officials of the WPK Central Committee and the education sector.